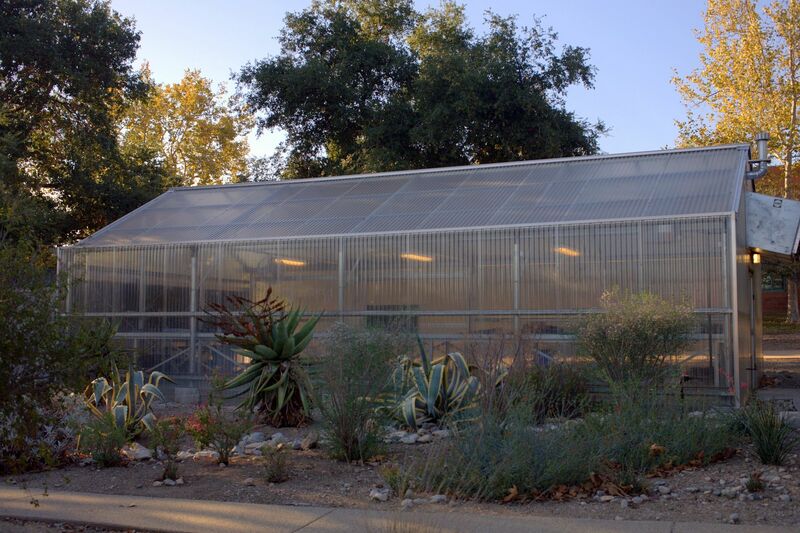 We have Joe Clements to thank for the unique pleasure it is to stroll the grounds of Pitzer College in Claremont, California, at the foothills of the San Gabriel Mountains. 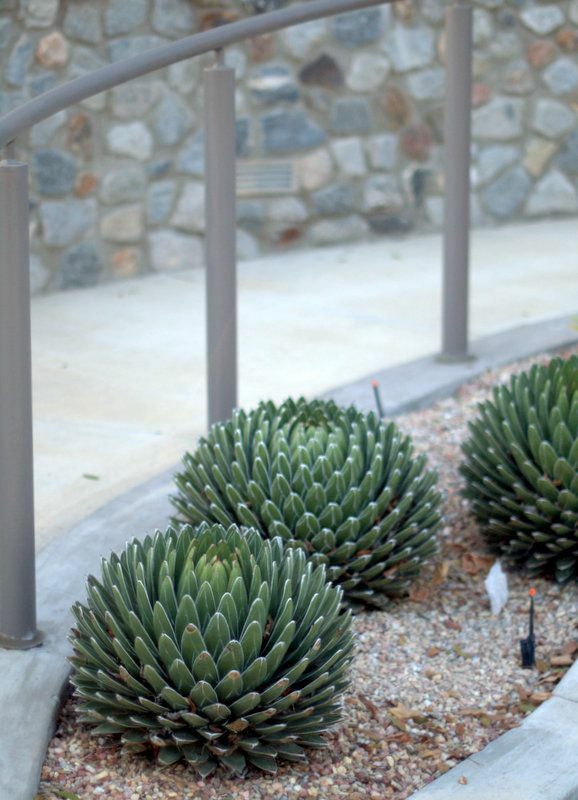 Twenty-five years managing the Desert Garden at the Huntington Botanical Garden more than prepared him for his current position* as Arboretum and Grounds Manager at Pitzer. The site of a former quarry, this liberal arts campus dating to 1963 covers about 35 acres. I tried my best to photograph as much as possible on a hot, blindingly bright afternoon this weekend. For a comprehensive pictorial, at least a half dozen more trips would be needed, and preferably in the even light of early morning or sunset. 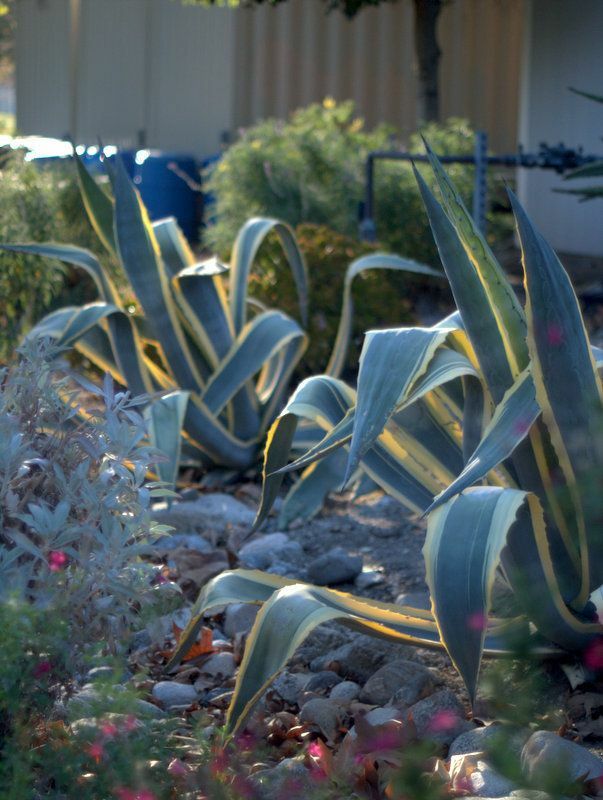 This post will be quick and dirty, no plant IDs, just an introductory overview. 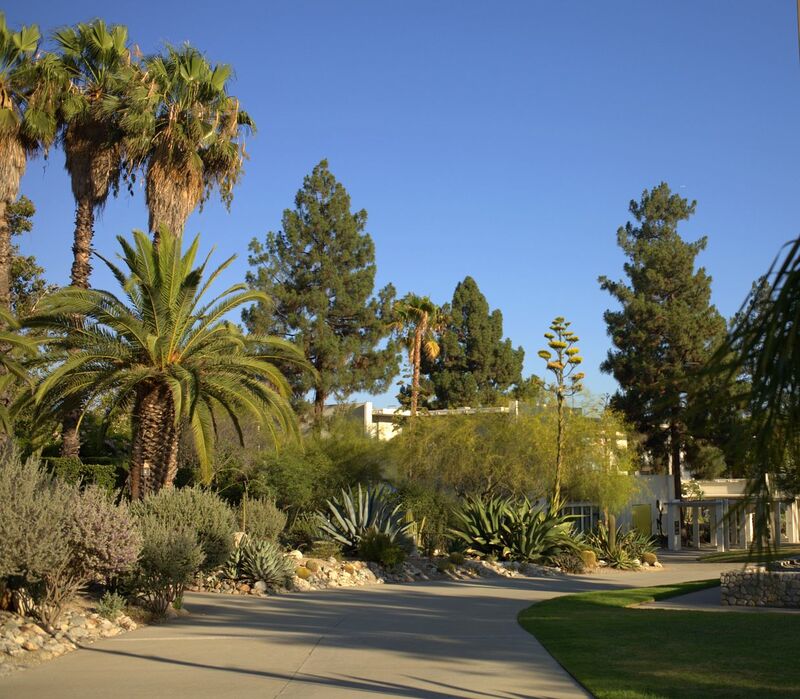 I missed the chance to explore the campus when attending a field trip sponsored by CSSA during their recent Biennial Convention held at Pitzer and vowed to return. 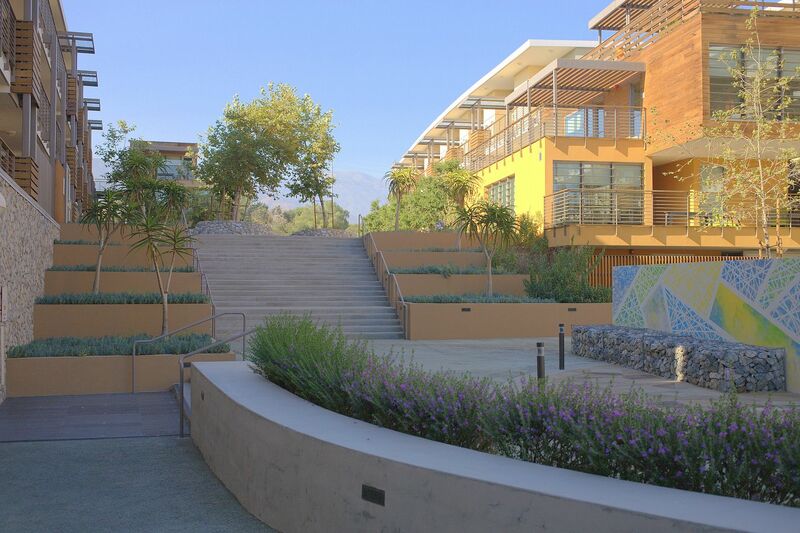 For me what sets Pitzer apart is its unusual hybrid status as both residence and commercial site. 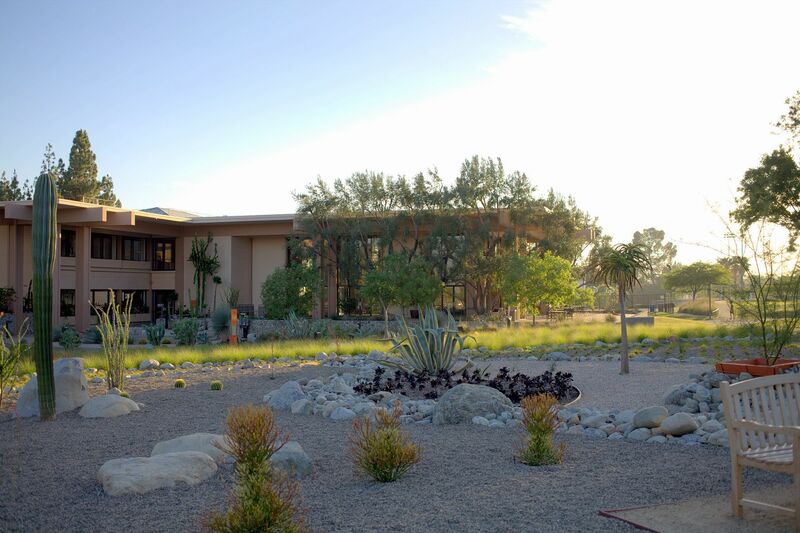 Both uses have been melded together in a landscape that succeeds as a temporary home for students while they attend the college. 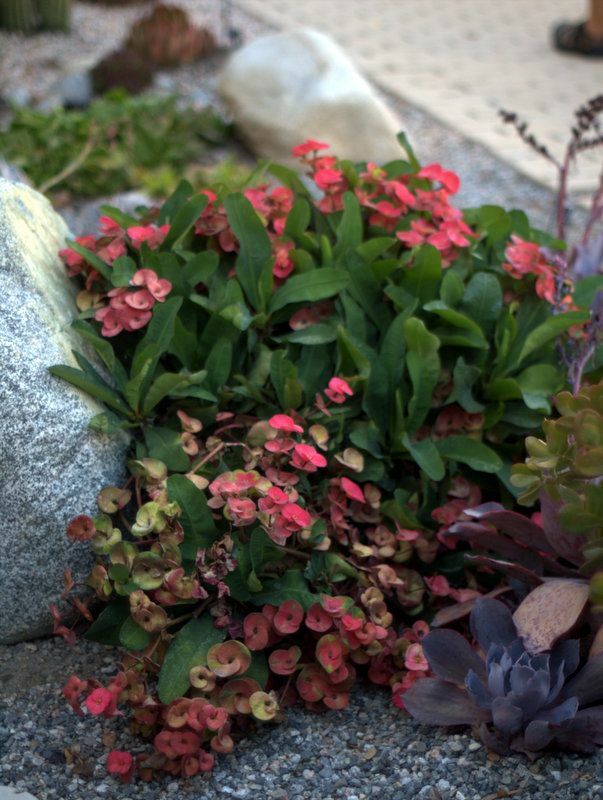 The pathways and transitions are intimate and on a human scale, and rambling along the decomposed granite paths feels very similar to exploring a botanical garden. Yet these same modest pathways lead to monumental spaces. What an amazingly stimulating backdrop for a center of learning. 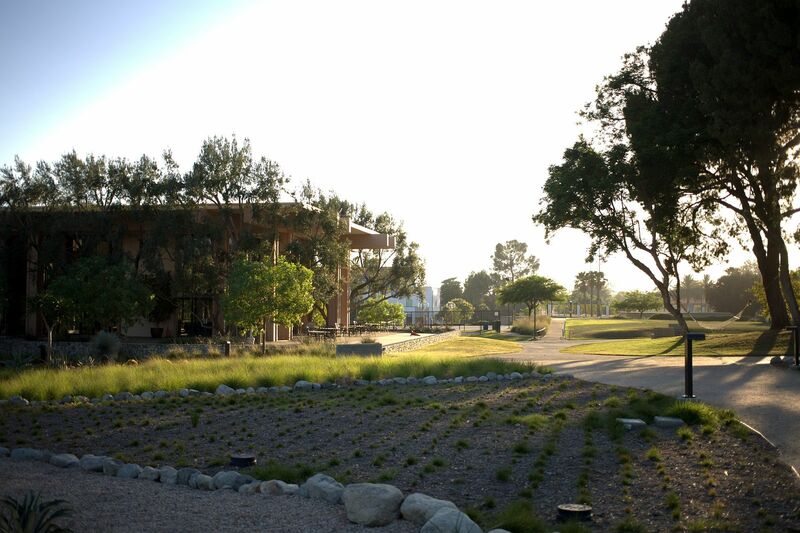 And for examples of moving people through a dry garden, Pitzer offers lots to inspire. In August the campus was almost empty. 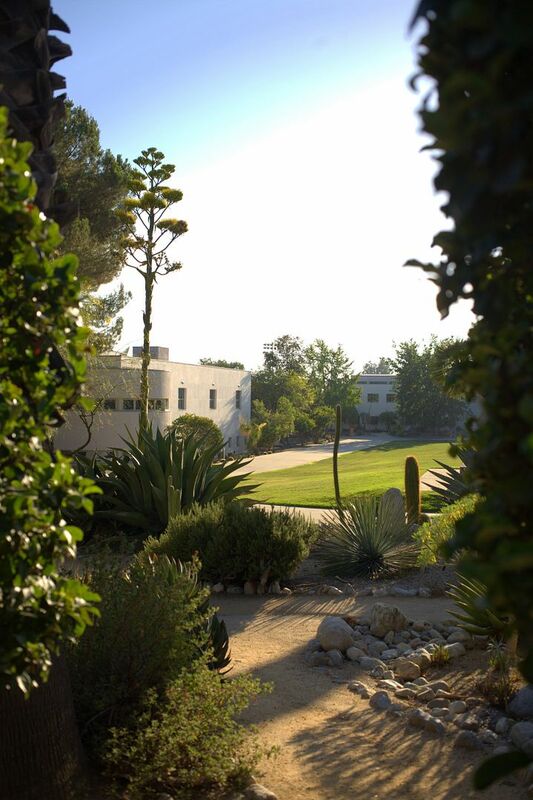 Though it was a quiet time for campus life, the grounds were still impeccably maintained. 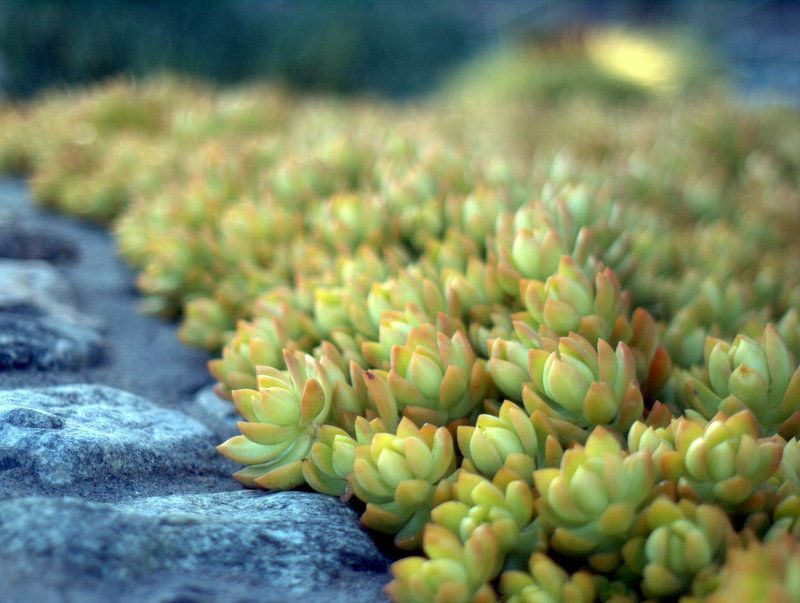 I’ll close with some planting details. 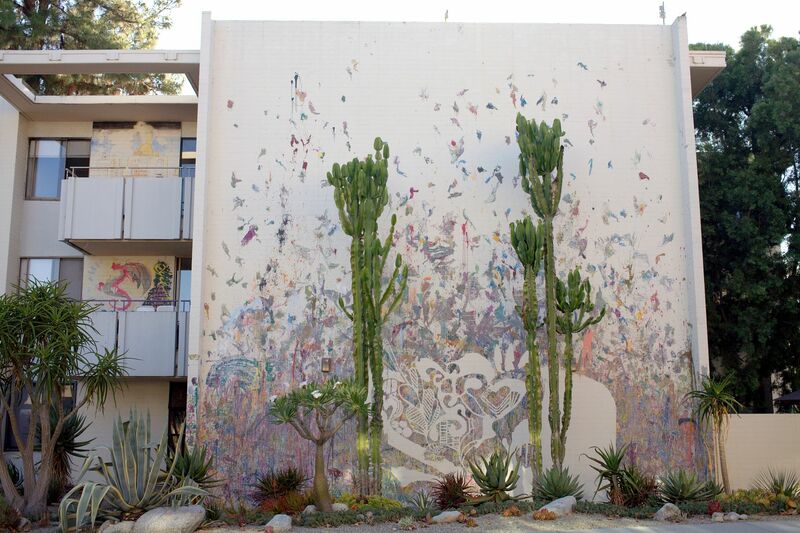 Trust me, there’s incredibly detailed planting going on at Pitzer. Mr. Clements, who came on board in 2000, seems to really be enjoying himself. I can’t imagine why hordes of photographers haven’t found this place yet. Or fashion shoot location scouts, for that matter. 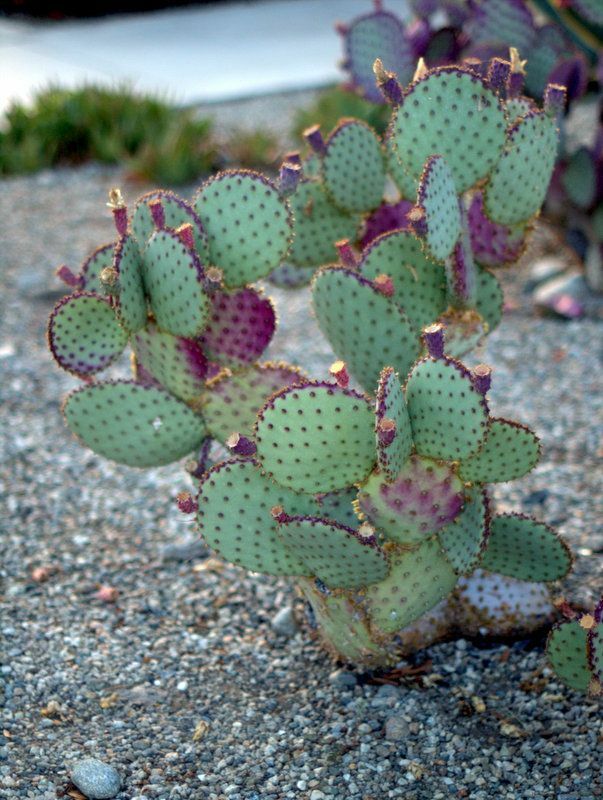 I will point out the nice use of Texas Ranger, Leucophyllum frutescens, also seen in the third photo from the top. 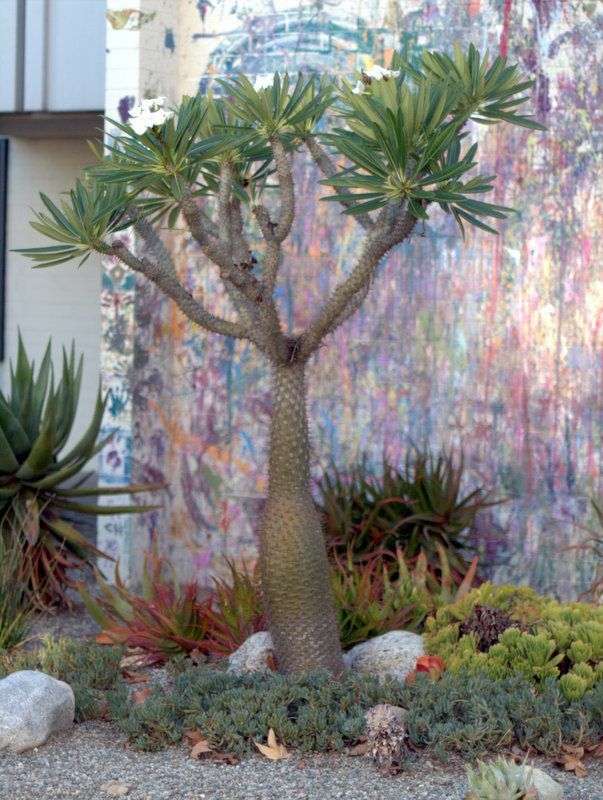 And this pachypodium was in bloom, hard-to-see white flowers at the top. *Edited to add Mr. Clements retired June 2015. 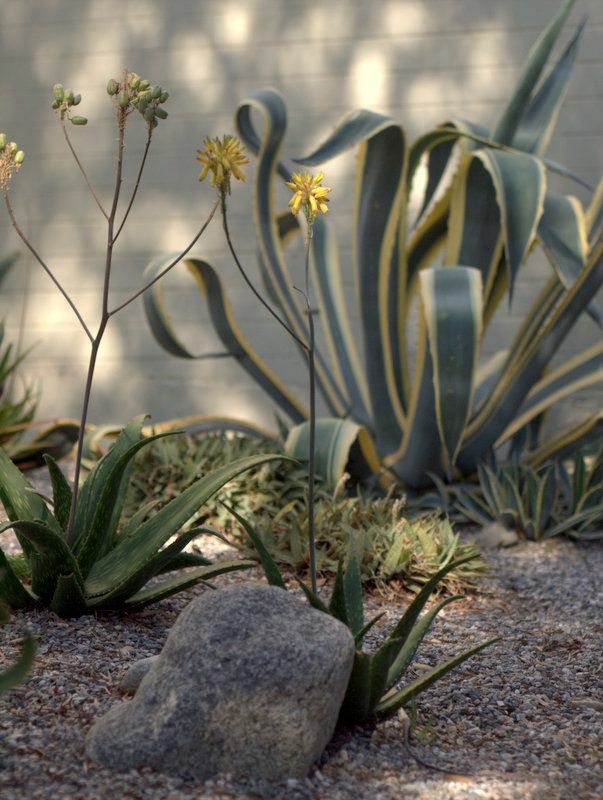 This entry was posted in agaves, woody lilies, garden visit, succulents and tagged Arboretum & Grounds Manager, Cactus & Succulent Society of America, dry gardens, Joe Clements, Pitzer College. Bookmark the permalink. Wow. Wow. And wow. This goes right at the top of my must-see destinations for my next trip to Southern California. 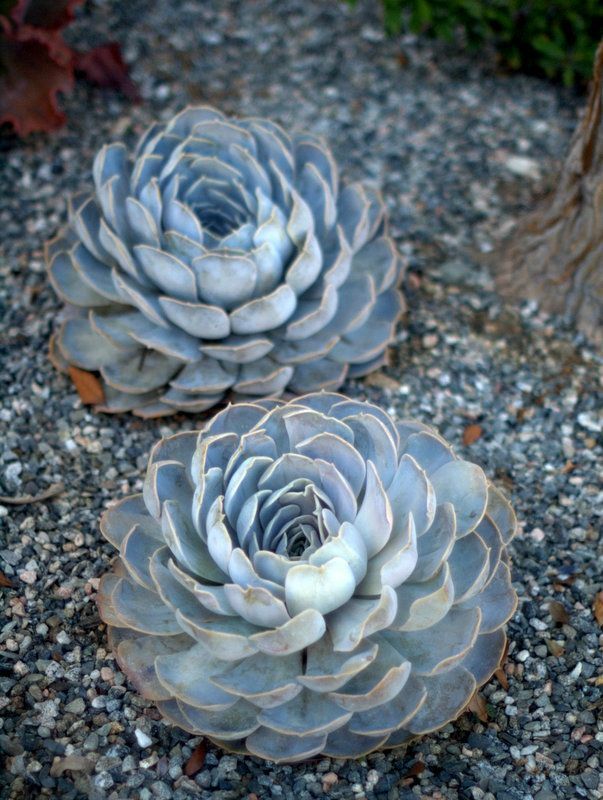 Are these incredible plantings all over campus or just in a specific area? 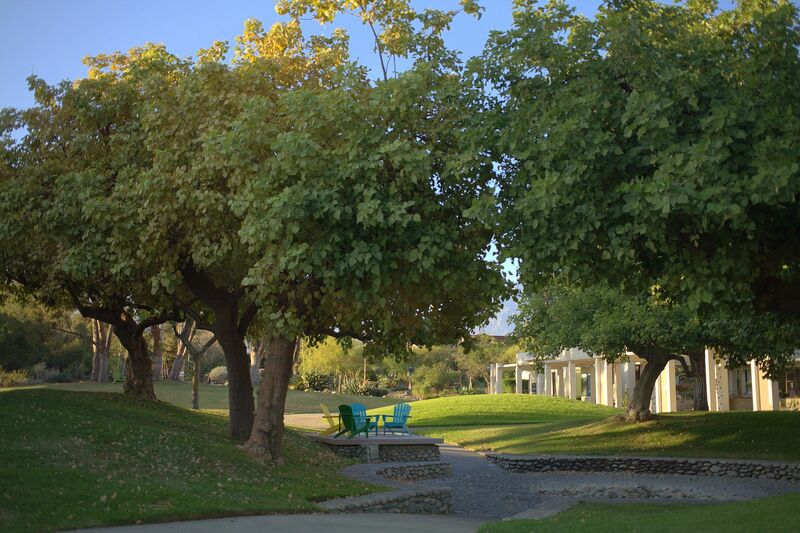 I had a friend who attended the Claremont Colleges back in the 70’s, and I’m quite sure the whole place was a vast network of lawns .Like Gerhard I will add this to my Socal punch list. Thanks for the tour. 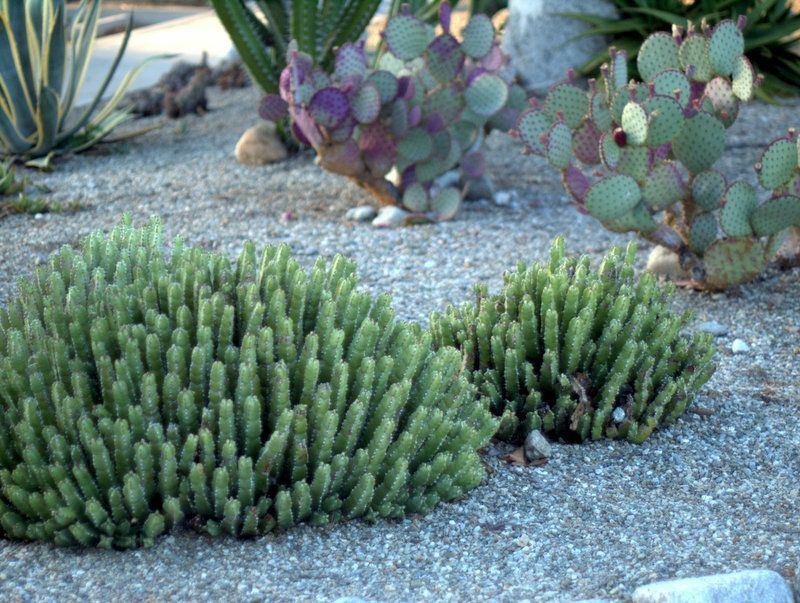 I must get some of that Leucophyllum. I tried another species, which has done close to nothing in almost 3 years (although it’s not dead, which I suppose is something). 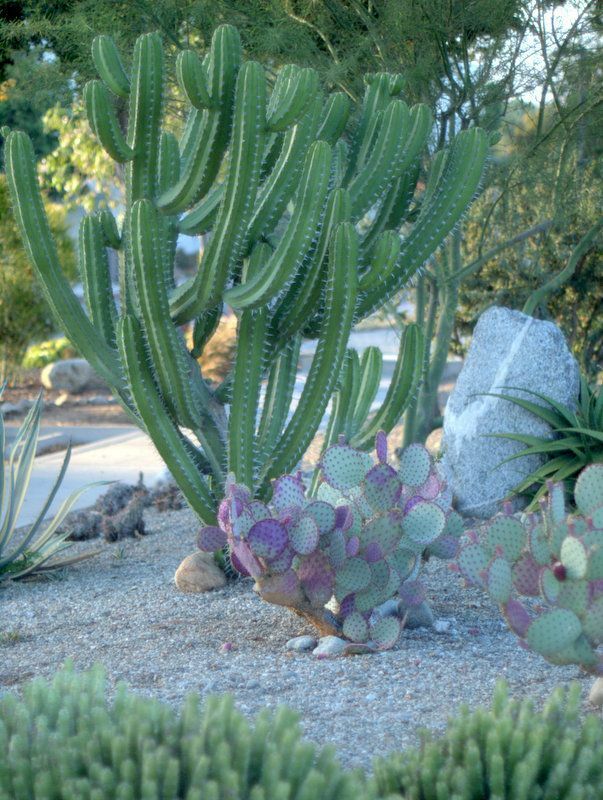 L. frutescens appears to be much more vigorous. Beautiful photos! I have spent many days exploring this gem of a town over the last 7 years while two of my kids attended the colleges. Happily, there are finally some decent places to eat, albeit expensive. And, yes, the campuses are chock full of amazing sights: landscaping, historic murals, some amazing architecture, and free museums. 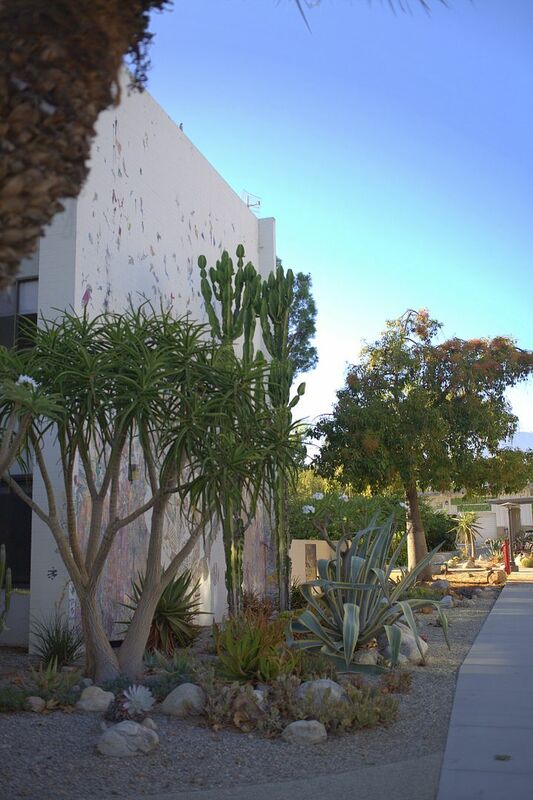 Many cultural events and academic lectures are held on the campuses, almost all of them at no cost to the public. Google the Claremont Colleges calendar. 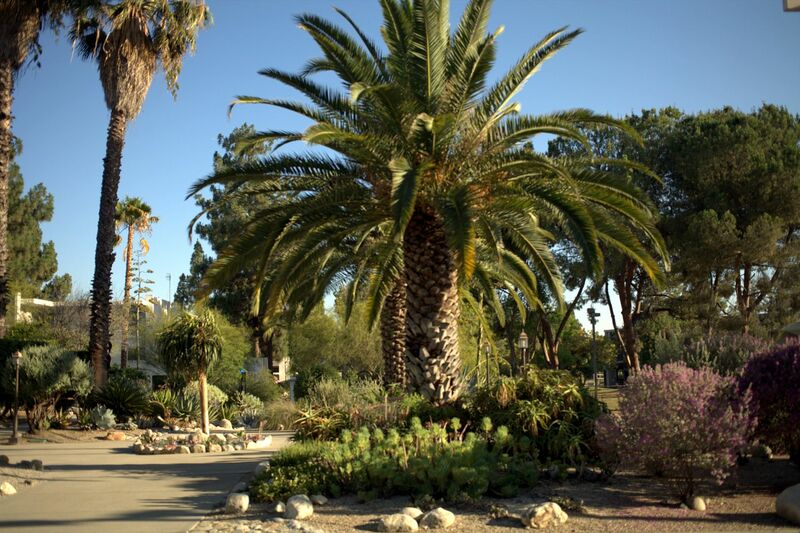 Not to be missed is the Rancho Santa Ana Botanic Garden just across historic Route 66, aka Foothill Blvd: Acres of California natives, the largest collection in the state. 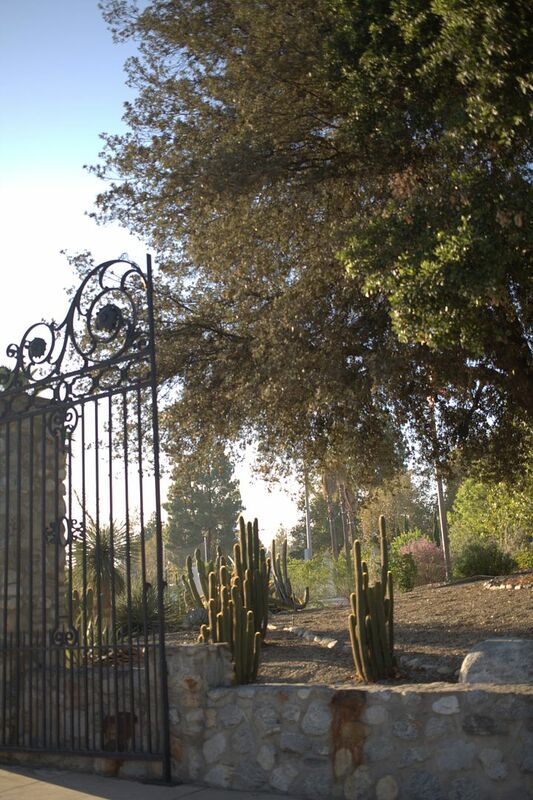 And just 10 miles away is the Sam Maloof house in Alta Loma. Make a weekend of it, towards the end of each semester there are worthwhile musical concerts open to the public: Indonesian Gamelan, orchestra and choir performances and more. Claremont is a hidden gem. 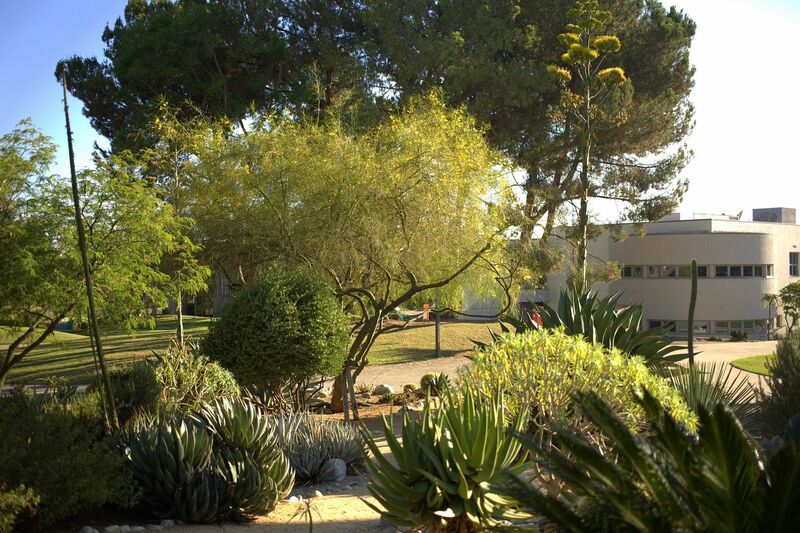 @Gerhard, I just explored Pitzer’s campus, and from what I could see of adjacent colleges, the interesting plantings stopped at Pitzer. I believe there’s five colleges that make up Claremont. See Laura’s well-informed comment below! @Kathy, and here I went all the way up to Sonoma State for college! Pitzer supposedly has a good anthropology dept too. @Kris, that curved hedge of Texas Ranger was so impressive. 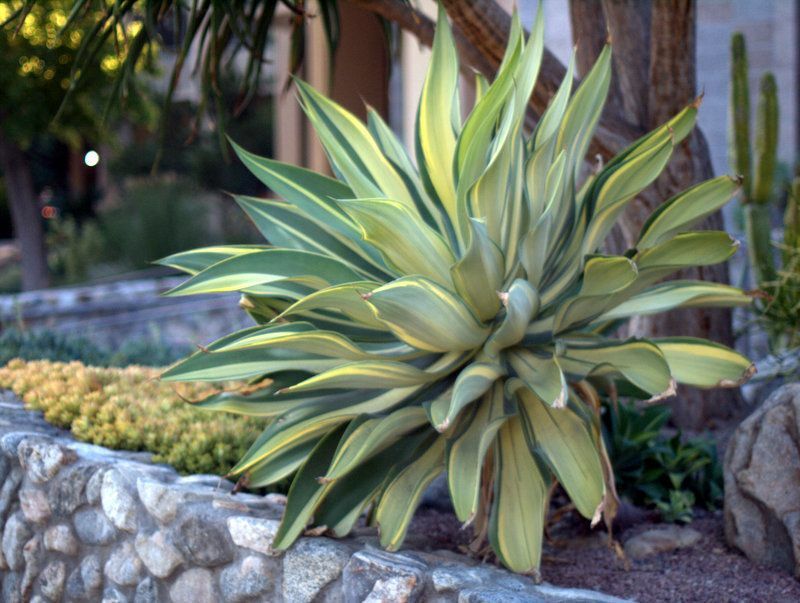 I don’t see that plant used much locally. Maybe it needs that tremendous heat? There was also lots of crepe myrtles in bloom as street trees in town. I’m thinking August is the magic month to go for uncrowded vistas at the college. Students come back toward the end of August, I believe. @Laura, thanks for the info. I will check Claremont College’s calendar. I did visit Rancho Santa Ana this summer and attended a tour sponsored by them, but it is unfortunately a rare occasion that I get up to the foothills. It’s a couple hours each way for me. 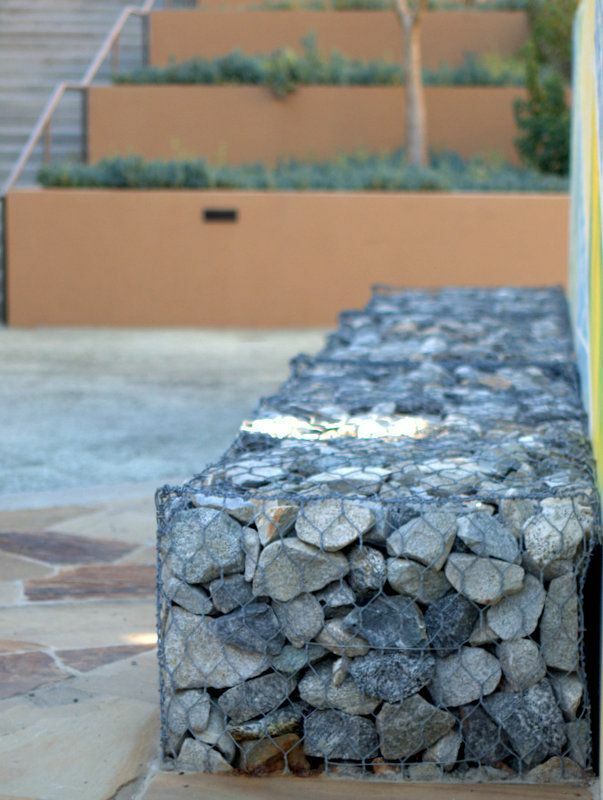 I loved seeing all that quarry stone on the campus! I need to go back and explore some more. @Alan, isn’t that wall amazing? Student involvement is felt everywhere. @Loree, and even on a Sunday the traffic on the foothills freeway, the 210, was busy. So many things to see, so much traffic! I’m a staff member at Pitzer College. Joe Clements retired on June 30, but his “Joeyscape” surrounds us. 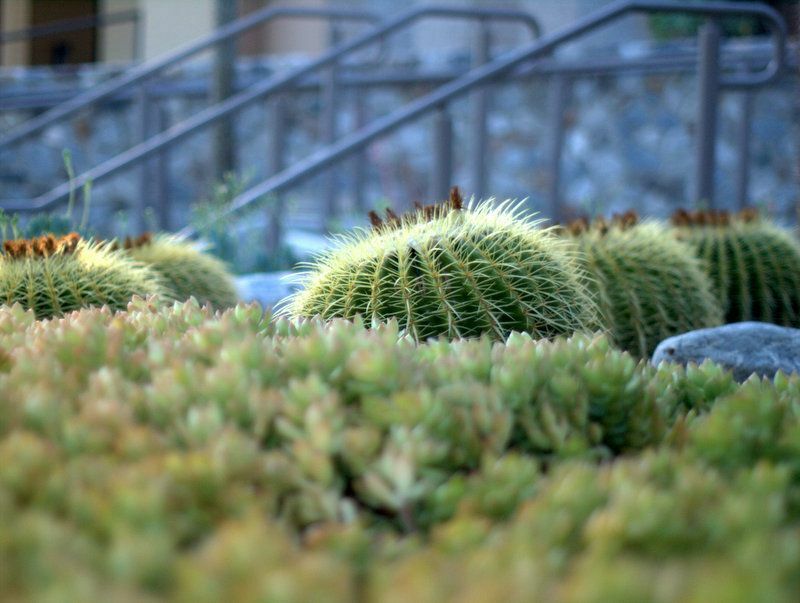 Over the years he was here, he transformed the landscape of this campus into a drought-tolerant wonderland. The beginnings of an arboretum surrounding the Grove House were here when he started, but he expanded it throughout the entire campus. It is nice to know that his amazing talent is recognized. Great timing–Alan and I were just talking about going to see that, based on mention of it in your biennial convention post–my MIL lives four blocks away. Will try to get there when it’s not 95F. 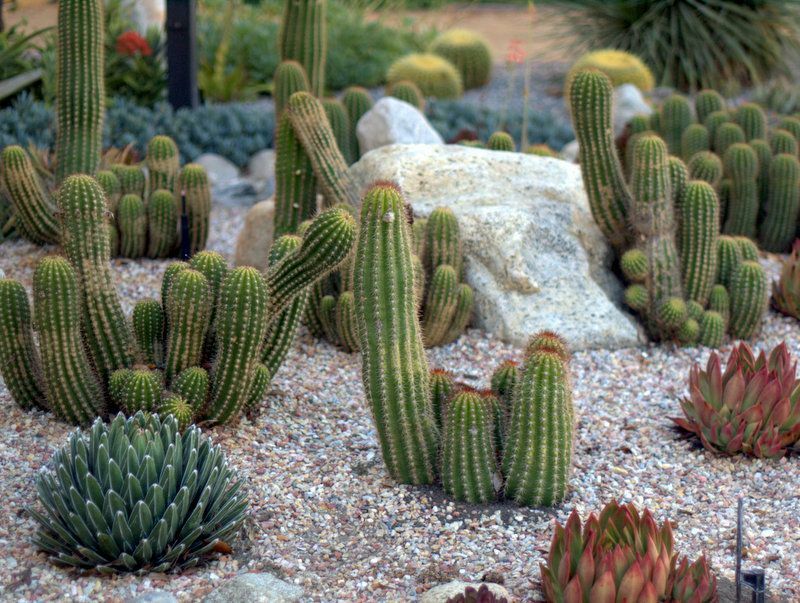 Wonder if those are Schick hybrid Echinopsis in the uhhh…13th photo from the bottom. 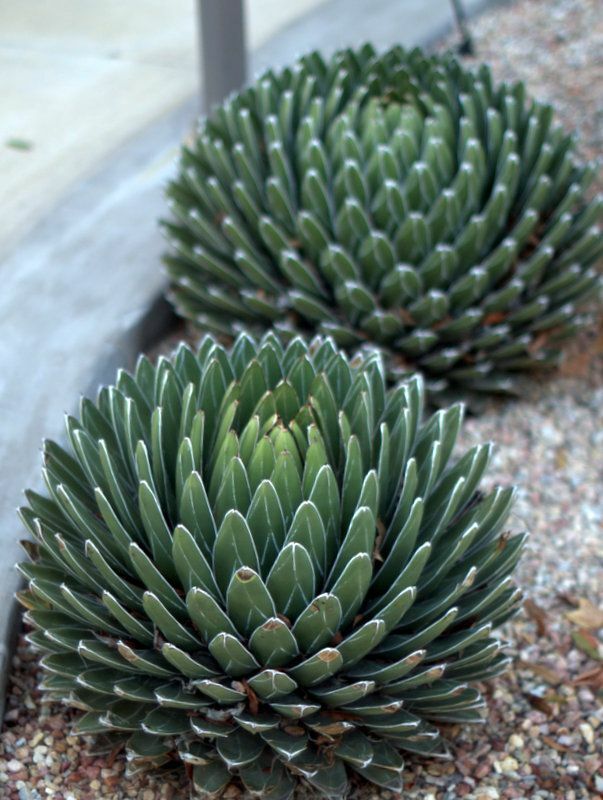 Leucophyllum, I’ve got a neighbor with a magnificent specimen in her garden…it was there when she moved in back around 1965. 1965! WOW. This place is absolutely stunning. And I feel like I say it every time but your photography is superb. We had a few ivy plants on the low walls near the classrooms and a fascinating Claremont Town dump to explore. Found some treasures there, on a dawn stroll. 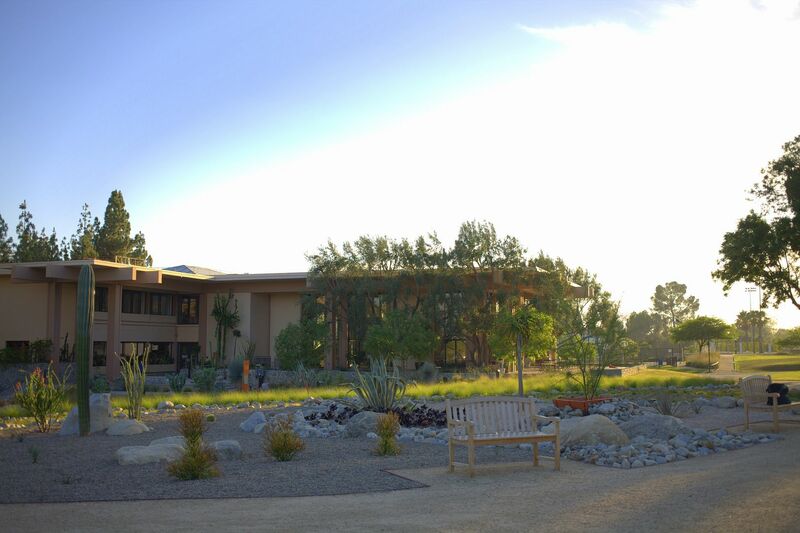 Proud of Pitzer for doing what most of us alumni have done: apply the college philosophy, “Provida Futuri,” or “Mindful of the Future,” in a practical way. 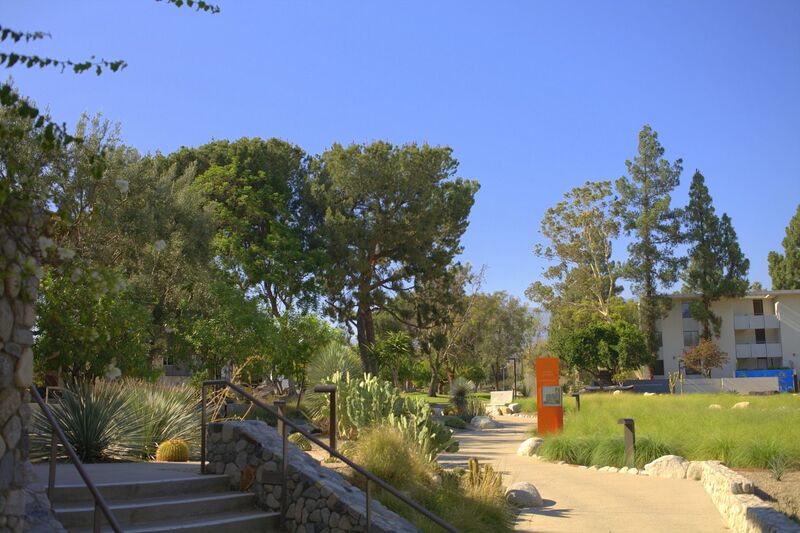 Pitzer has ever been seeking future sustainability, with roots in our past. Kudos to our recent college president, Laura Skandera Trombley, now heading up the Huntington in Pasadena. 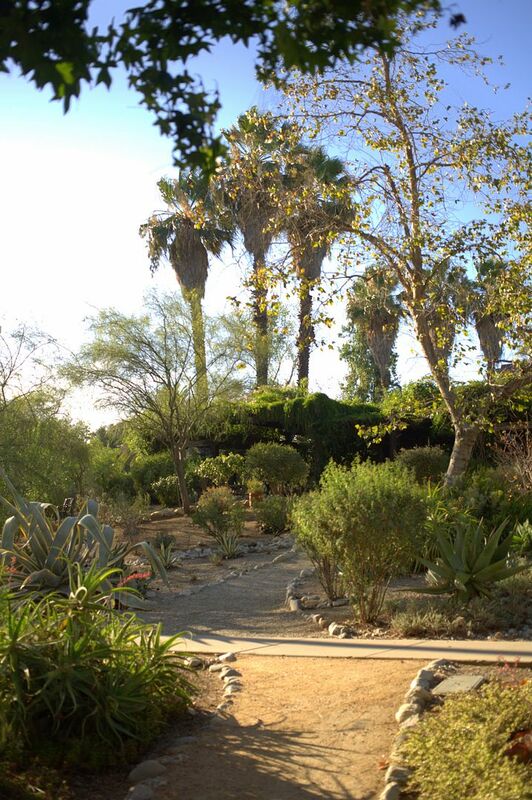 If you love world-class gardens and art collections, don’t miss it. 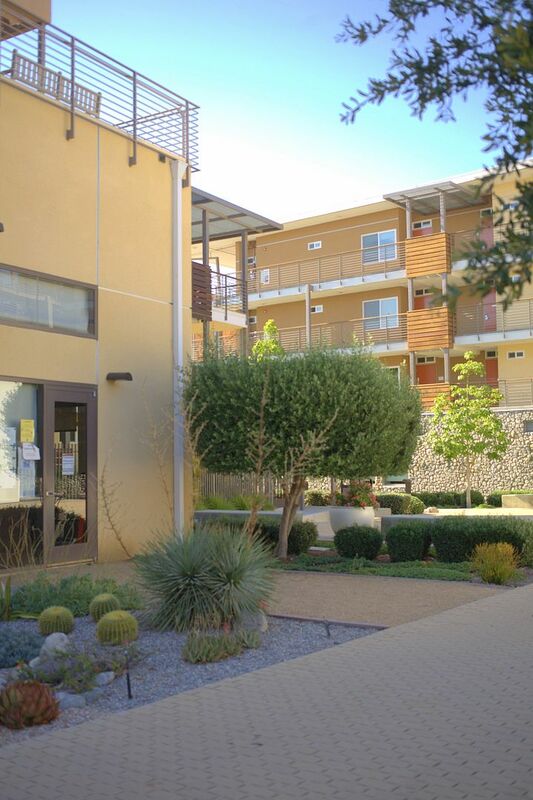 Lucia, thank you for sharing your memories and fondness for Pitzer. It does indeed seem to be a very special place. Best of luck to Ms. Trombley in her new role at the Huntington. Although I’m a member, I’ve been staying away because of the high temps this summer, but I do miss visiting! 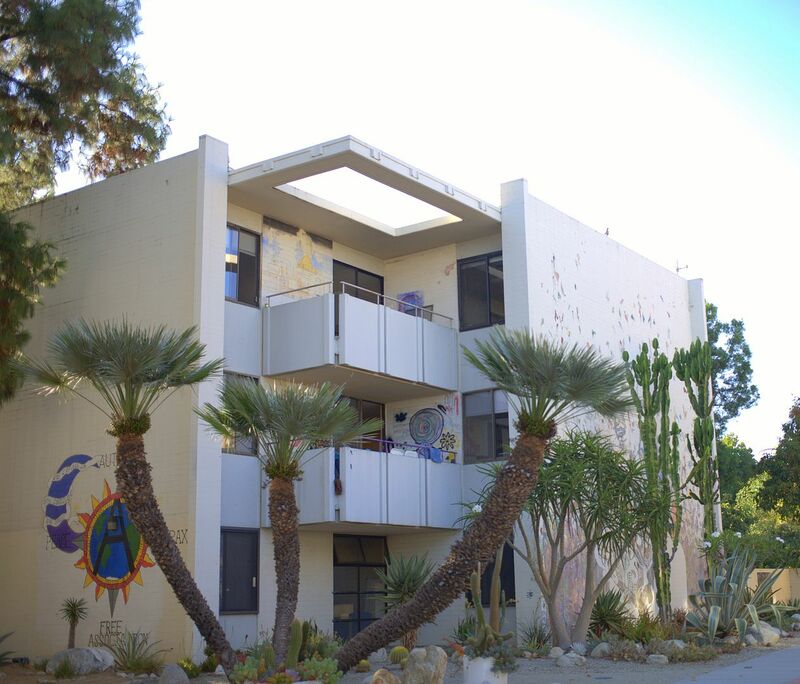 @Hoov, this fall should be a wonderful time for a visit to Pitzer/your MIL. 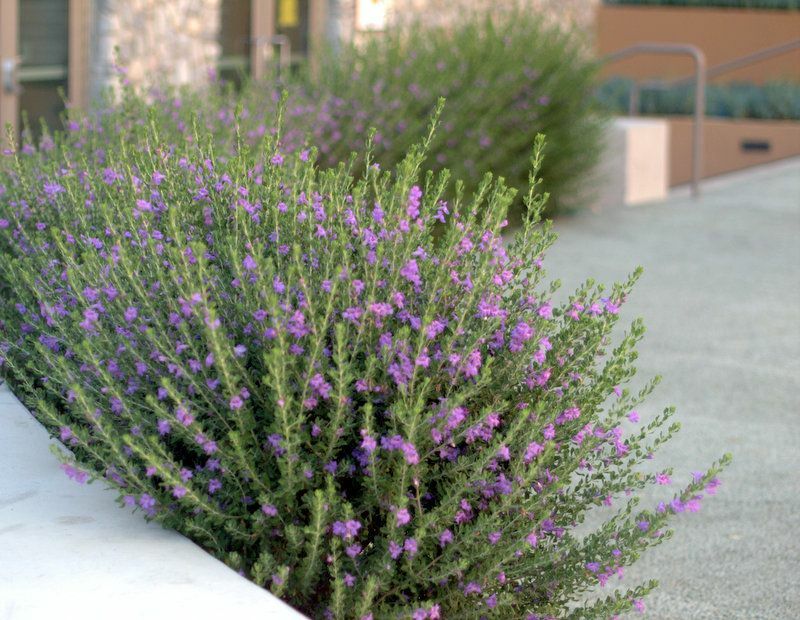 1965 is amazing longevity for any shrub! How inspiring! 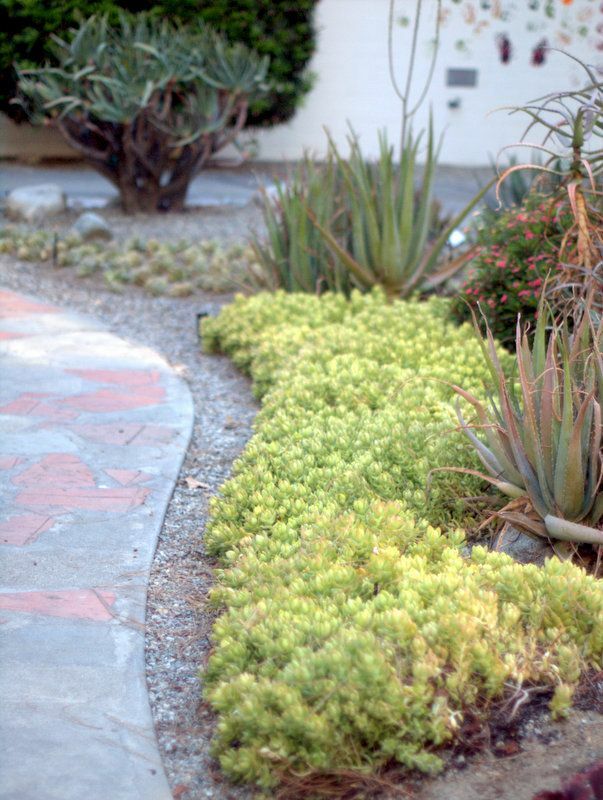 The dry gardens are amazing, well planted and impeccably groomed. I also like that they included some green spaces, which are important in a college setting. The council ring and Adirondack platform under the trees is especially good.